Pension plans funded with traditional annuity and insurance contracts are not subject to stock and bond market risks. To learn more, click here. The pension laws have changed...drastically! Especially for the small one-person business or self-employed individual. 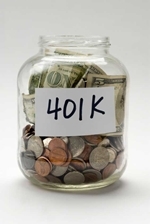 Do you need to save more for retirement? Do you need to reduce your current income taxes?